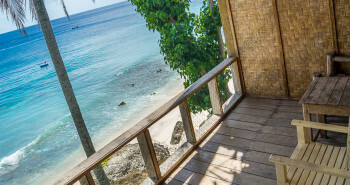 When planning out my Southeast Asian trip, there were really only two items on my must-do list. 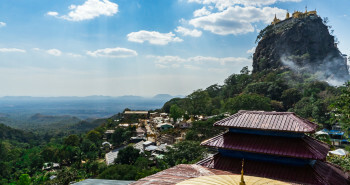 The first was to trek throughout Myanmar, and the second was to spend some time observing Asian elephants. The more I looked into it, the more Northern Thailand made sense. 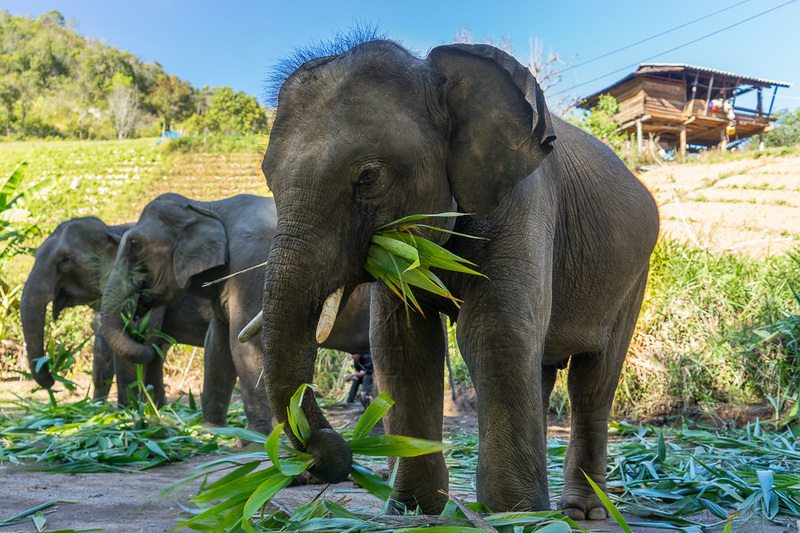 In fact, in and around Chiang Mai there are literally hundreds of elephant parks/camps to choose from. How does one narrow all of these down?! Even though it’s still heavily associated with Thai tourism, I already knew that riding an elephant wasn’t my thing. The idea has always just left a bad taste in my mouth, influenced I’m sure by the numerous issues that have been reported at one of my local amusement parks over the years. Instead, I wanted to see them happy and free. Or as close to free as possible. That’s when I came across Elephant Nature Park. 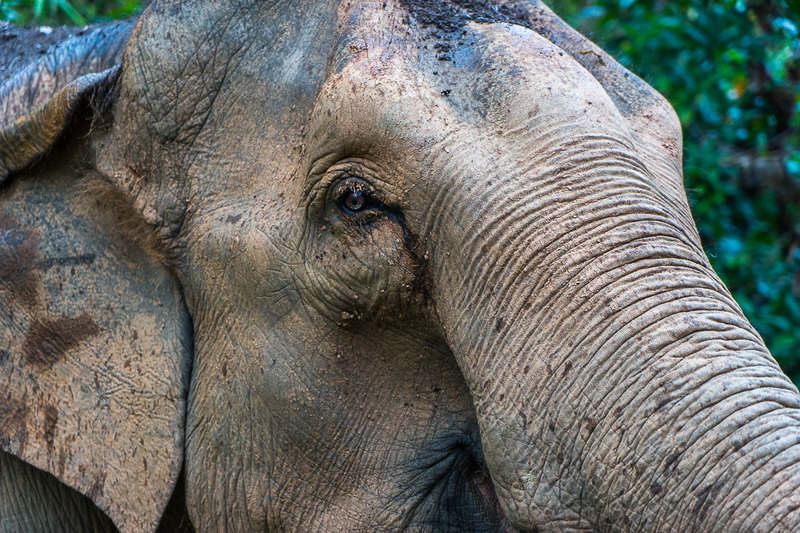 Established in the early 90’s by a local Thai woman, Elephant Nature Park positions itself as a sanctuary for previously abused and exploited elephants. 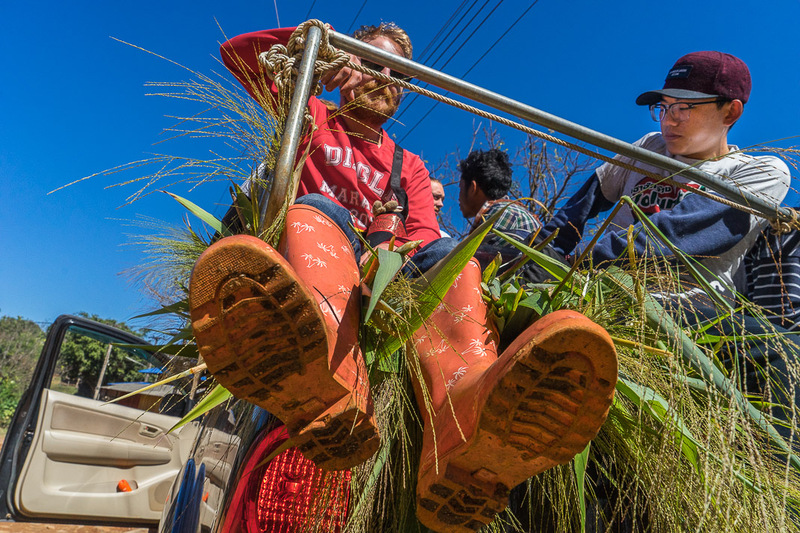 With numerous volunteer projects on offer, their hope is that all visitors leave with a greater respect and education around the preservation of the endangered Asian elephant. 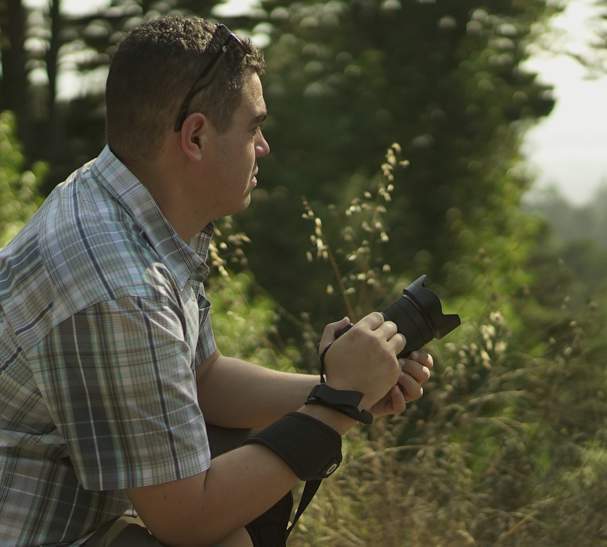 Looking through their rather extensive list of projects, one stood out to me: the week-long Journey to Freedom program. Even at 15,000 baht ($420 USD), the embedded aspect sounded completely unique and exciting. I mean, elephants in their natural habitat! How could I pass this up? 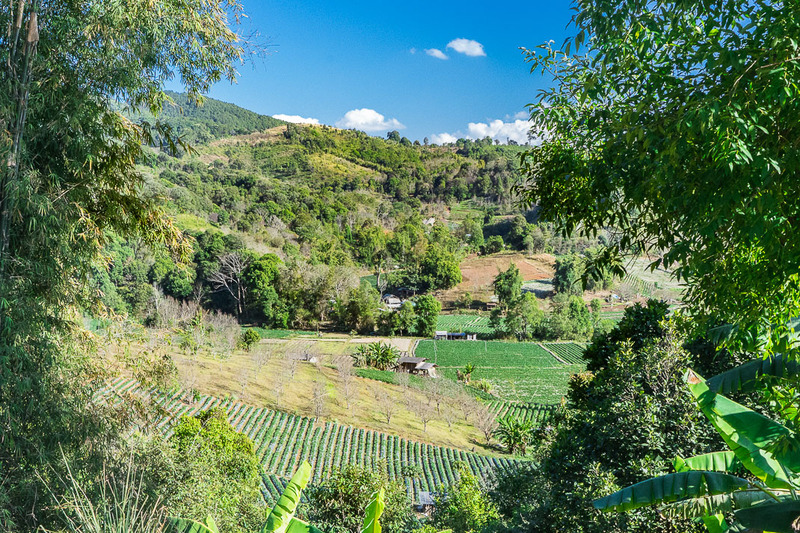 When the day finally came, I gathered up my backpack and trekked down to the Elephant Nature Park offices in central Chiang Mai. 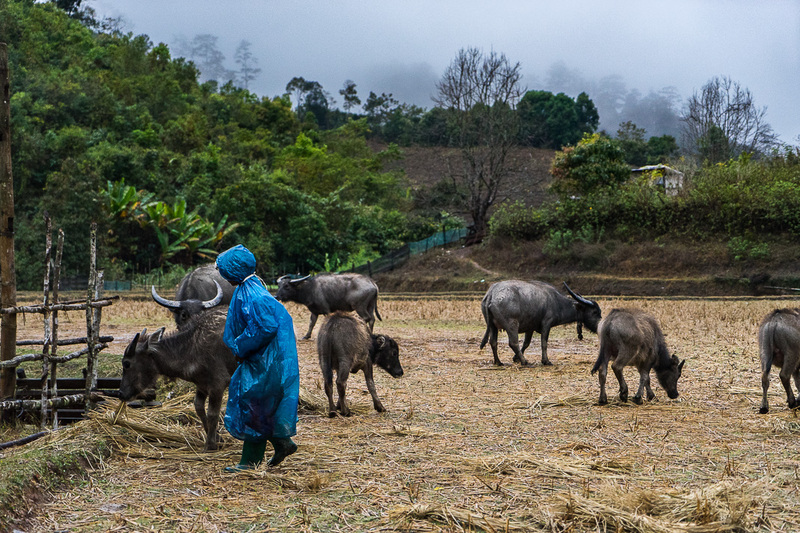 The sun was nowhere to be found – lost in the wet rainy sky over Northern Thailand. 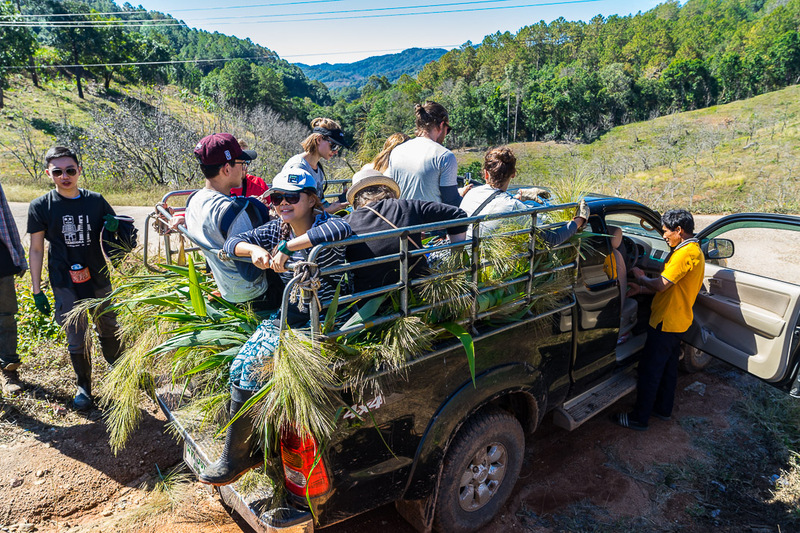 After signing a stack of liability forms, the 15 person Journey to Freedom group all gathered into vans for our 2 hour journey into the hills of Mae Chaem. Arriving at our base camp later in the day, it quickly became clear that we had left all sense of luxury back in Chiang Mai. 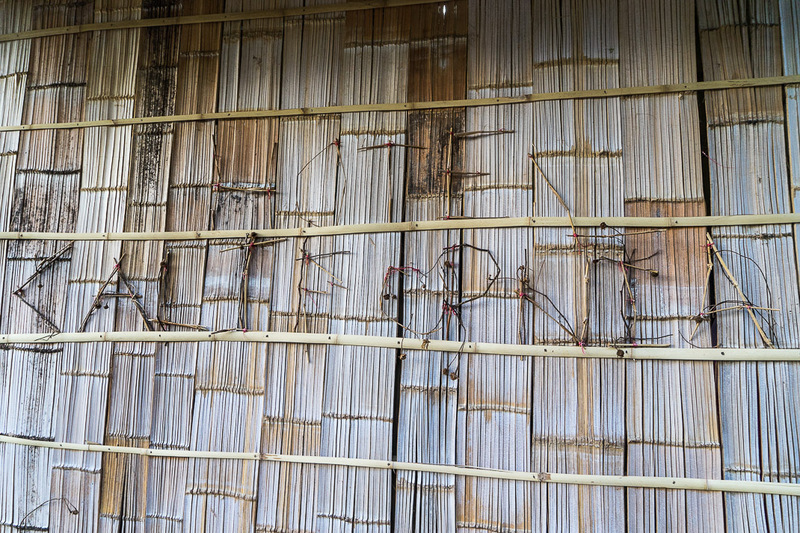 Our home for the next 5 nights, referred to as Hotel California, was a large open stilted bamboo hut with sleeping pods spaced throughout. 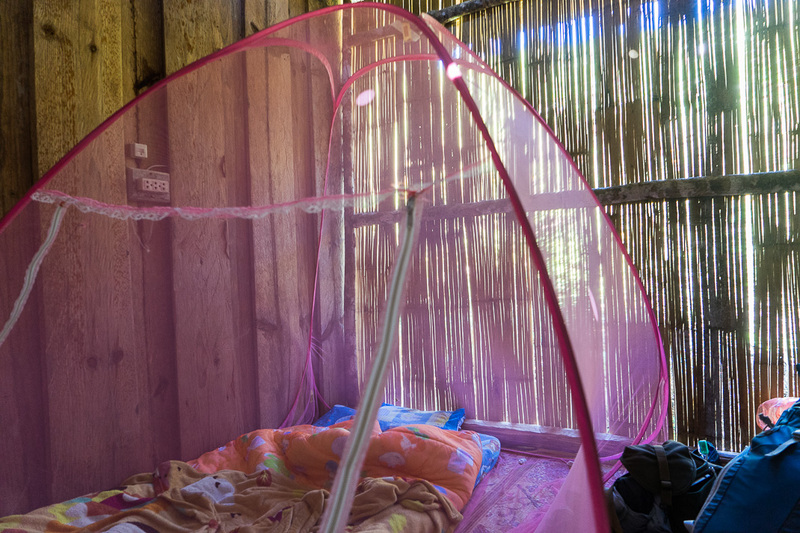 Inside each pod was a futon mattress, sleeping bag, pillow, and multiple blankets – essential for those freezing nighttime winds that crept in through the loosely thatched walls. 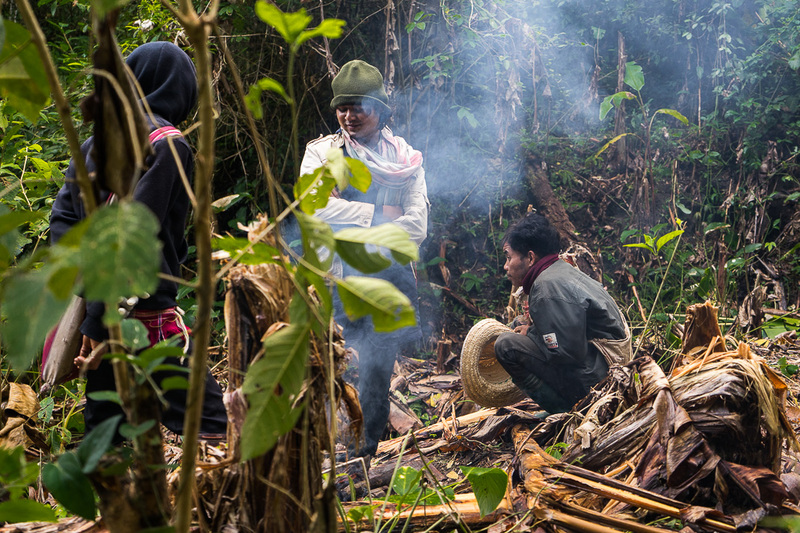 After settling in, we all gathered and were formally introduced to Johnney, Joe, and Pati – our group leaders/guides/cooks/cool dudes for the program. All 3 of these guys were from the local villages and, over the next 5 days, helped us navigate through some totally unique and incredible experiences with the Journey to Freedom elephants. After introductions, Johnney made sure to let everyone know that we would be wasting little time to get things started. 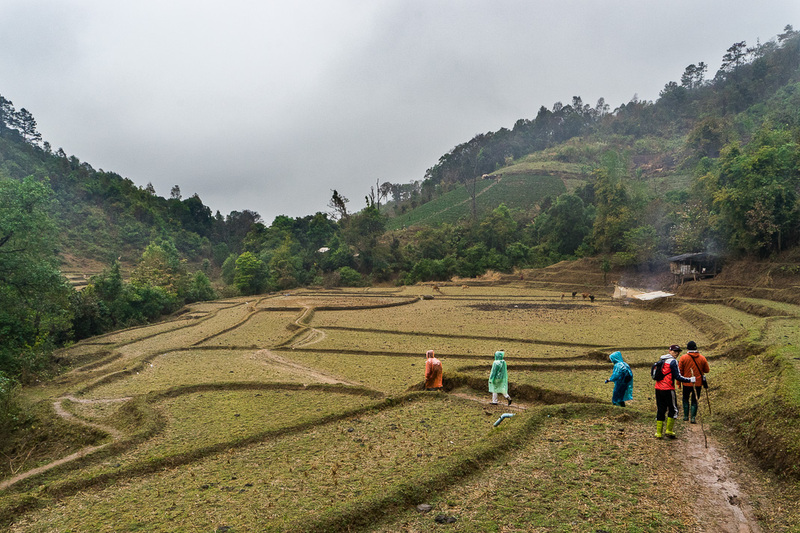 The not-so-good news was that the weather had followed us from Chiang Mai, so it seemed we had a wet and mud filled walk ahead. 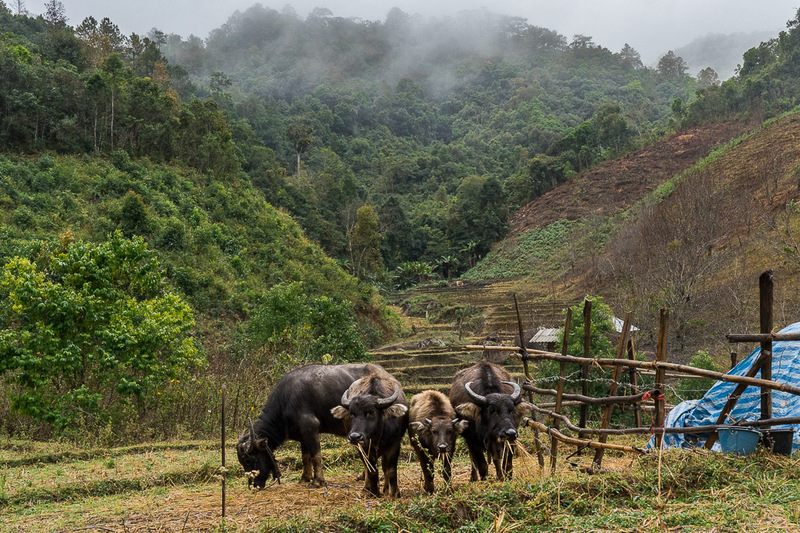 Sliding down hilly paths and across soggy farmland, we slowly crossed the overgrown terrain until we came to a shallow open valley. 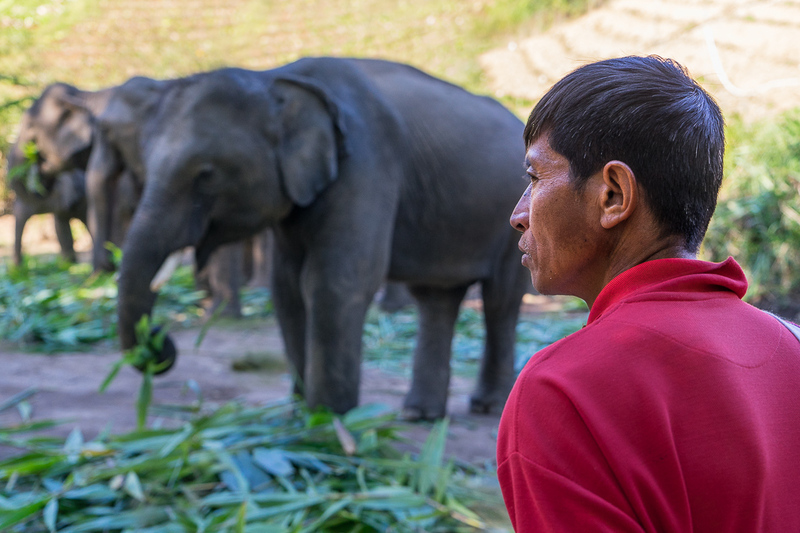 Each with their own mahout (village caretaker), the small herd was made up of 4 Journey to Freedom elephants – 2 adults and 2 calves. Happily munching away on forest greenery, they completely ignored us at first. This quickly changed once Johnney brought out a large bunch of overripe bananas, handing one to each of us. Disinterest quickly turned into GIMME, as if these bananas were an infinite improvement over whatever else they were chewing on. It’s hard to describe the exact feeling of being this close to a creature that can easily smoosh you with little more than a misplaced step. Was it intimidating? A bit. Enchanting? Sure. Unforgettable? You bet. I was lucky enough to get near elephants in the wild during my Serengeti safari. But this? This was something special. 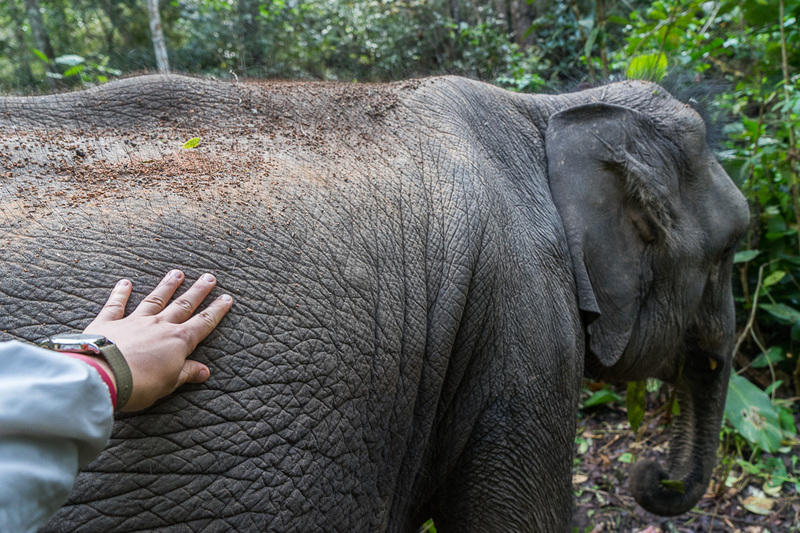 Being this close, it was easy to observe just how gentle and sensitive these 4-ton giants actually are. 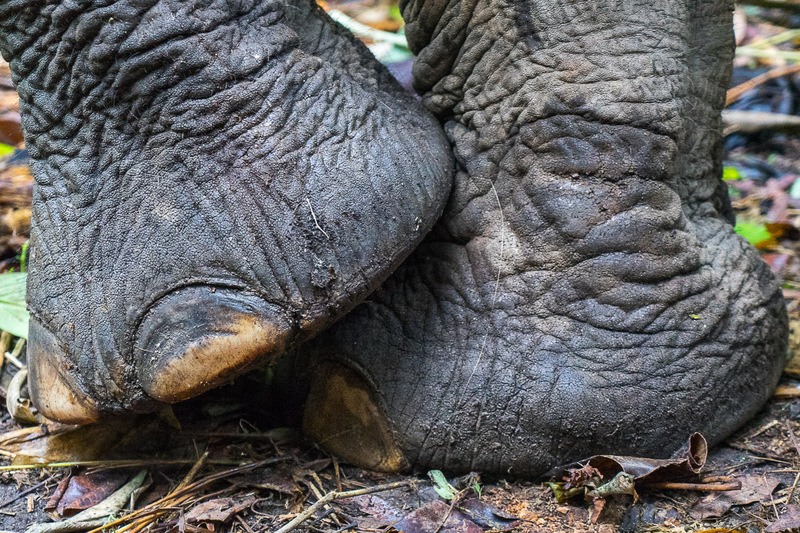 You’ve probably heard all about how incredible an elephant’s trunk is, but it’s the feet that really surprised me. 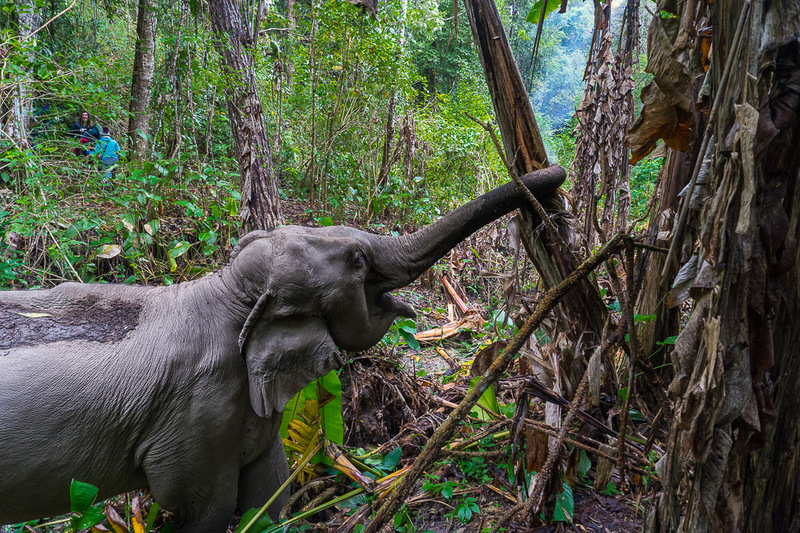 With each step, the elephant gently probes the ground with its foot before putting all of its weight down. Not only does this protect against sharp objects, but it also ensures that the ground is stable. 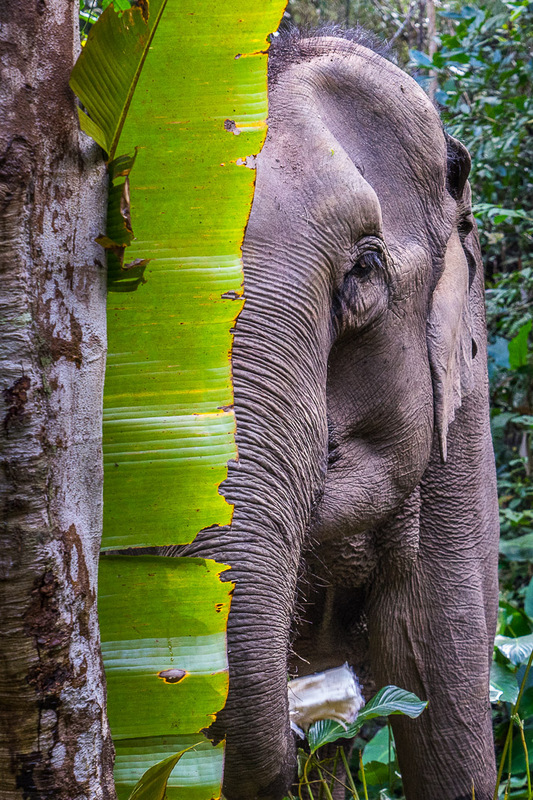 All of this made these Journey to Freedom elephants appear to glide methodically through the forest. The cold rain was beginning to fall again as Johnney called us all back together. As much as I didn’t want this meeting to end, I knew that we still had plenty of other play dates ahead. 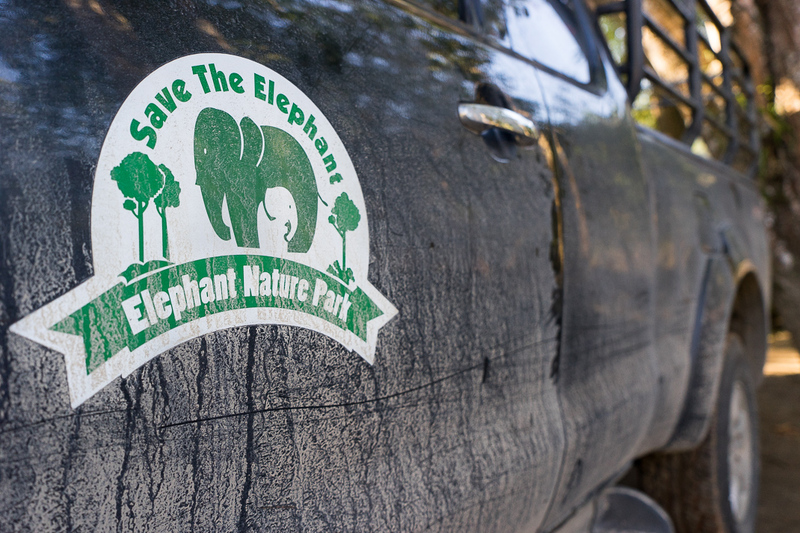 It would be a couple of days before we’d see the Journey to Freedom elephants again. 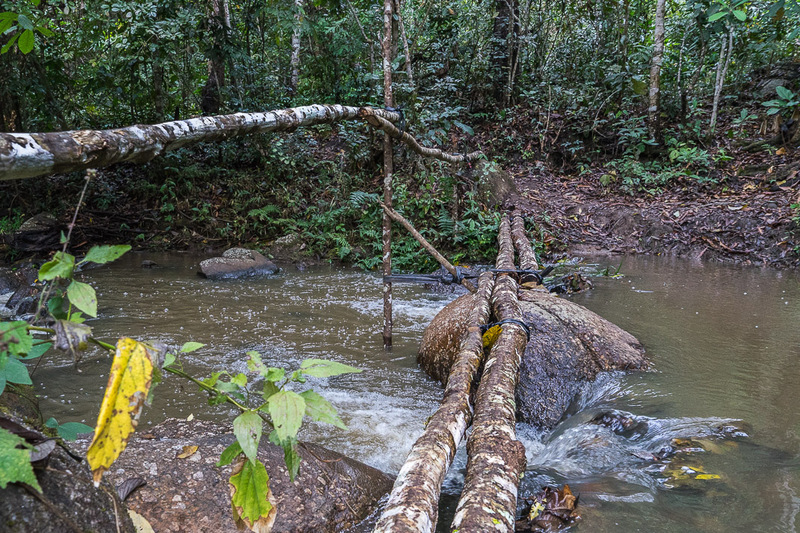 The rain had lifted just enough to provide safe, though muddy, hiking conditions. Continuing past the valley this time,we made our way through terraced farmland and across loosely constructed bridges. 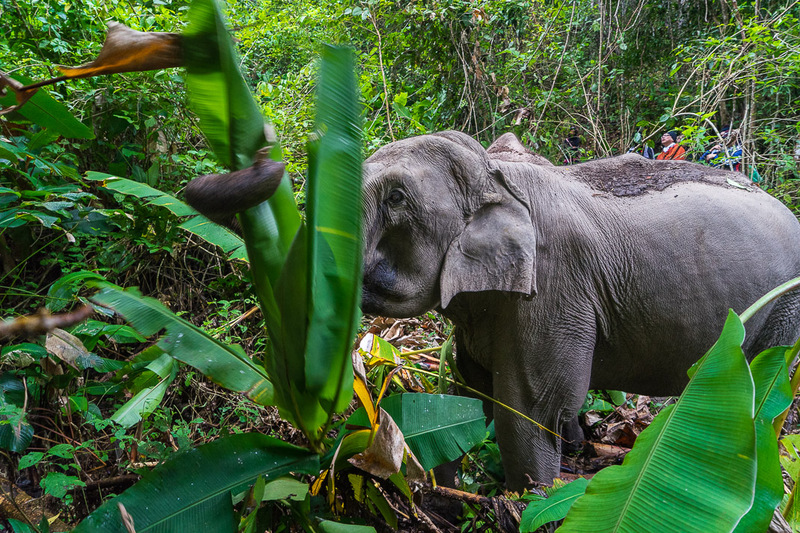 By the time we met back up with the herd, we found ourselves deep within the jungle. 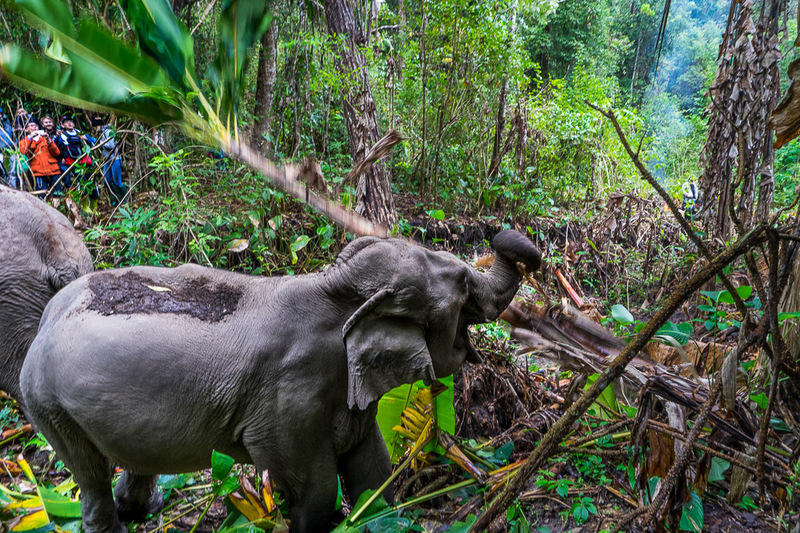 This area seemed perfect for elephant feeding, with plenty of fresh tender vegetation. 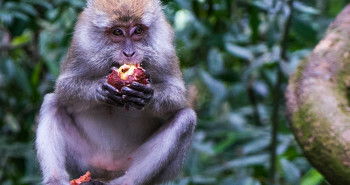 Watching them find and devour food was incredible. They lifted, ripped, and stomped all foliage until everything within reach had been gobbled up. It was at this point though that the Journey to Freedom elephants really began to show off their trunks. Grabbing hold of a nearby tree, they began to pull using all 4-tons as leverage. These trees never stood a chance and came tumbling down with only a couple of tugs, their leaves the next victims of an ravenous appetite. 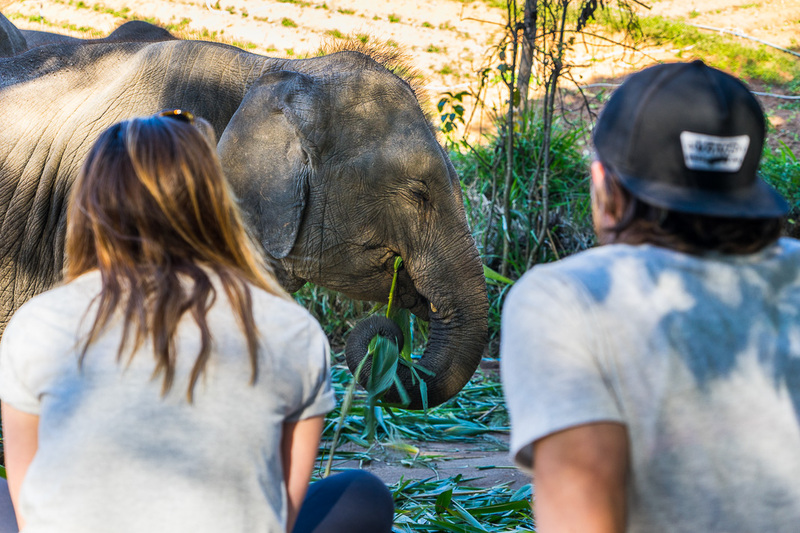 After that one close call, the group quickly learned the importance of always keeping an eye on nearby feeding elephants. 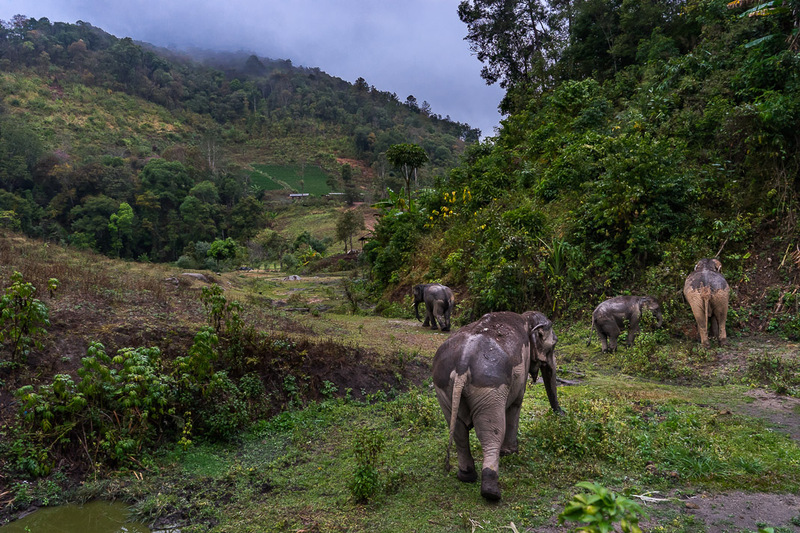 As the elephants continued, the ever-present mahouts remained on watch nearby. 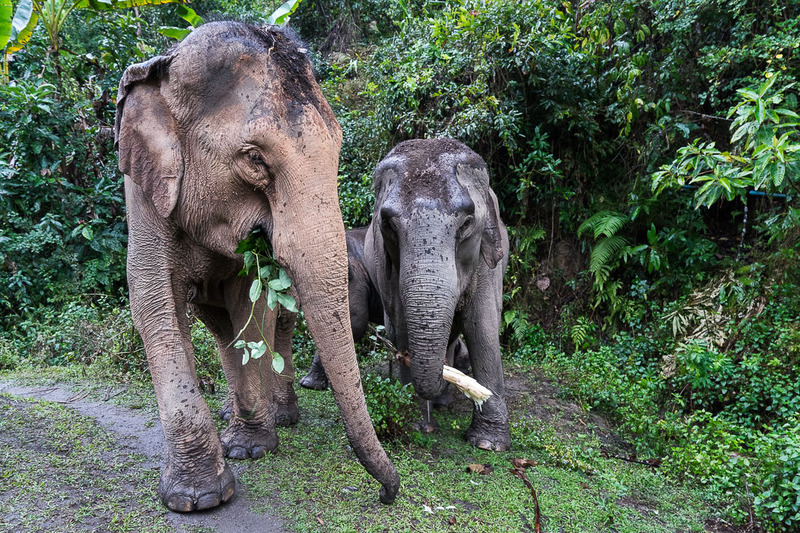 Do these guys just spend all day following around the elephants as they eat? That’s pretty much exactly what they do, considering that an elephant in the wild spends between 16-18 hours a day feeding. 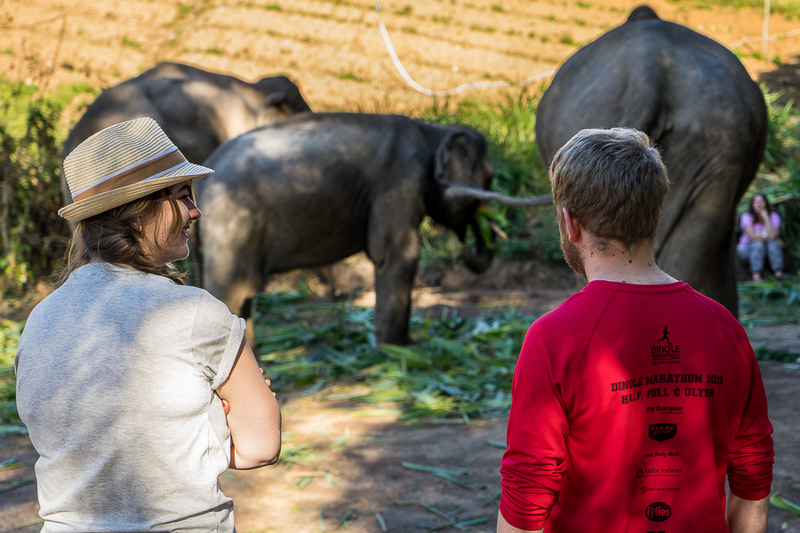 Johnney continued to explain just how dedicated these mahouts actually are, in that one is usually assigned an individual elephant while both are still very young. 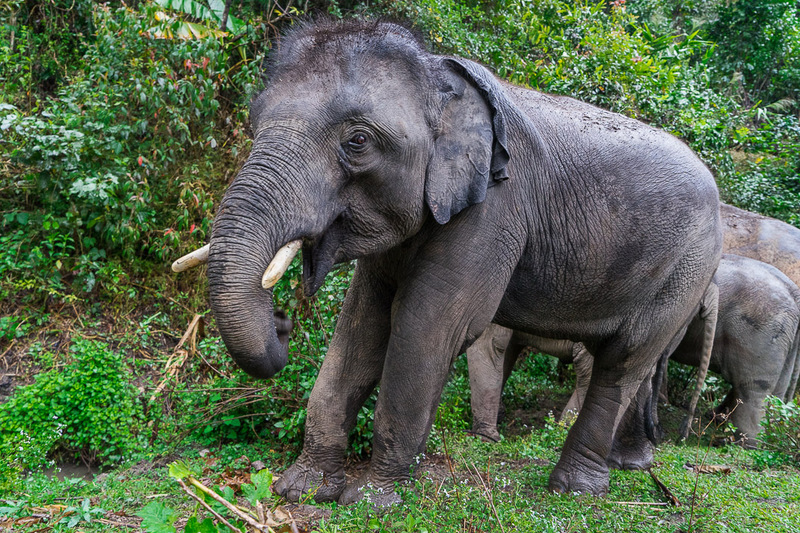 Because an elephant’s lifespan is around 50 years, this job is essentially a lifetime assignment. 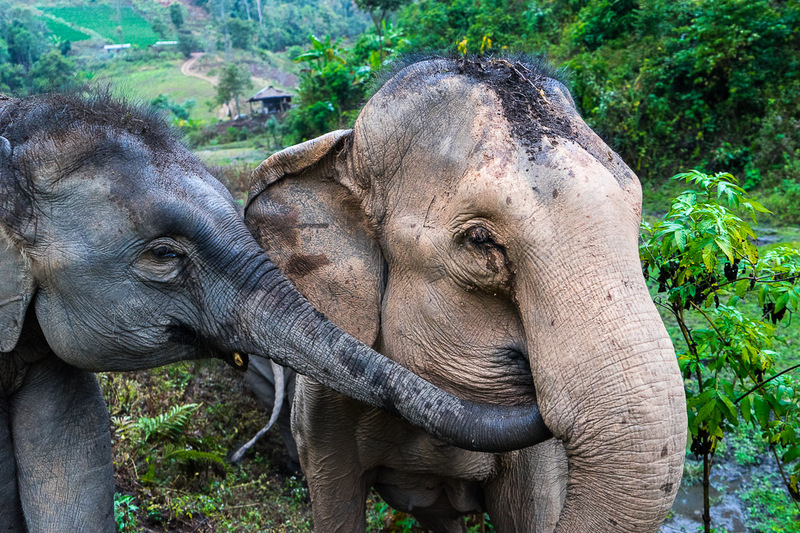 Even more amazing is the bonding relationship that develops between the two, in large part due to just how incredibly intelligent and emotionally empathetic these elephants are. Is that last tale a bit more fiction than fact? Perhaps. 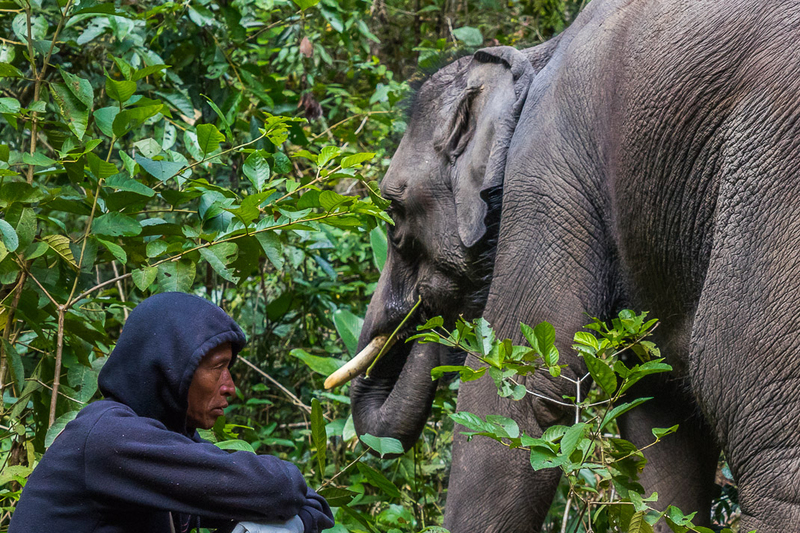 Even so, it was hard to deny the connection that these mahouts appear to have with their elephants. A head-nod; a hand wave; a loud grunt – all different methods of communication between these two beings. At one point, towards the end of feeding time, the group had clustered around one of the younger Journey to Freedom elephants. 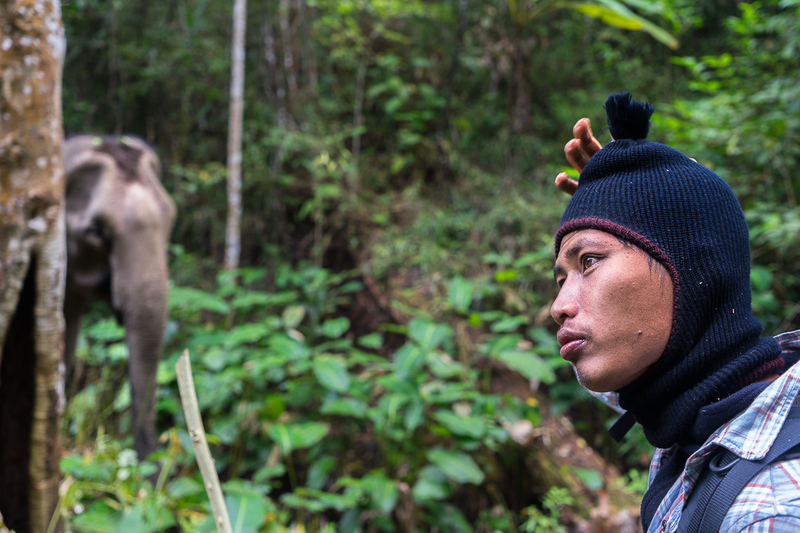 Everything seemed fine at first, but one of the watchful mahouts quickly spoke-up to Johnney. Observing the Journey to Freedom elephants in their rainy environment was great and all, but the wet weather was really starting to kill the excitement. So, you can imagine our joy when we woke up one morning to a clear blue sky! With thoughts of dry socks and underwear still swirling around in my head, Johnney pulled the group aside to go over the day ahead. 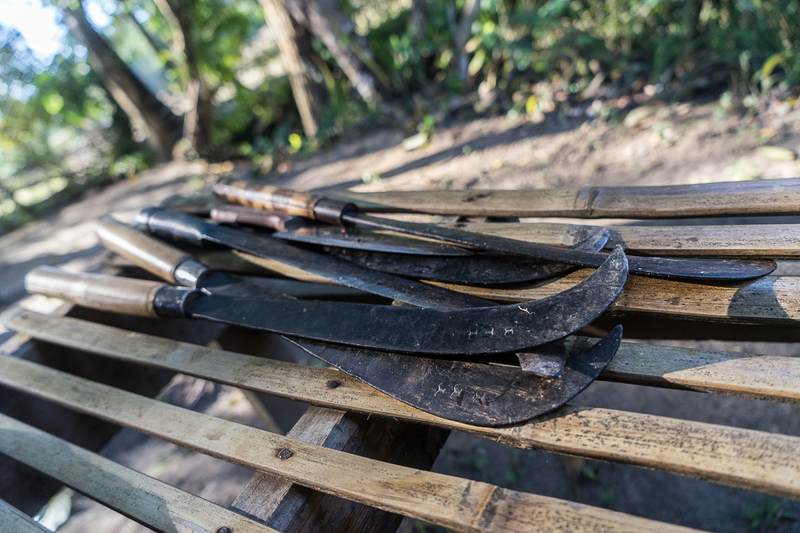 Handing out machetes to everyone, it was explained that we would be driving up to a nearby field. 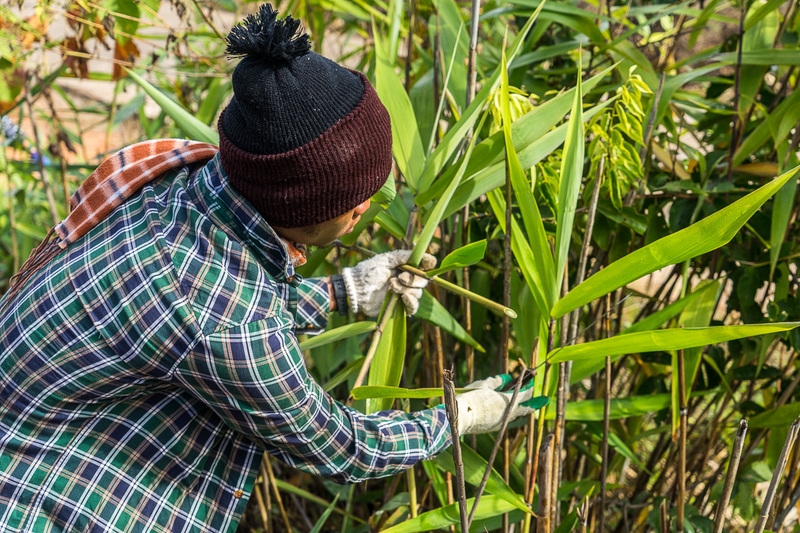 Once there, we were to pair up into groups of two – one to hack away at the leafy reeds and the other to collect the stalks and run them down to the truck. Between the 12 of us, it only took around 2 hours to fill the truck bed to the absolute brim. To help keep all of this leafy roughage down, we all piled on top, making sure to avoid any wayward thorns. By the time we made it back to camp, our hungry multi-ton friends were anxiously awaiting our return. Wasting little time, we all hopped out of the truck and began emptying everything out. Normally I’d expect to get bored of watching these Journey to Freedom elephants eat, especially considering that this was our third viewing. But no. Seeing these guys was still just as amazing as it was that first rainy evening in the valley. 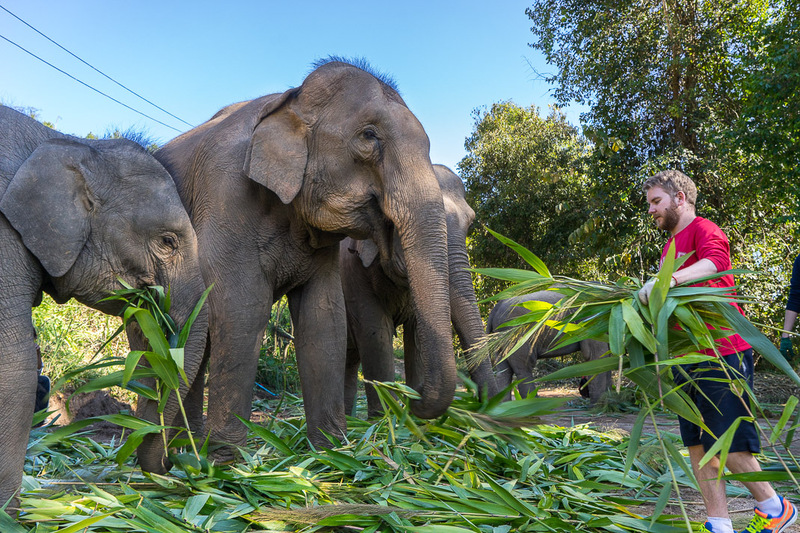 After the above activities, it came as no surprise that our farewell would involve feeding these Journey to Freedom elephants. 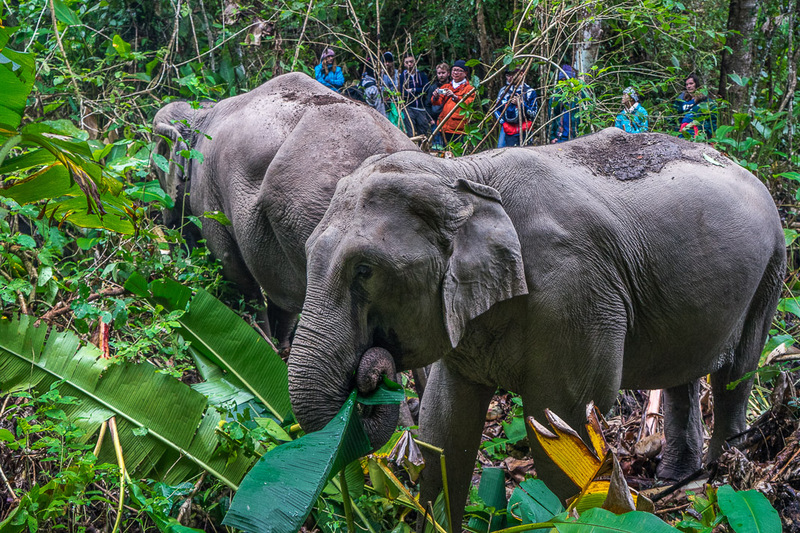 Soon we’d all be heading back to Elephant Nature Park for our final day of the program, but we had one last order of business. 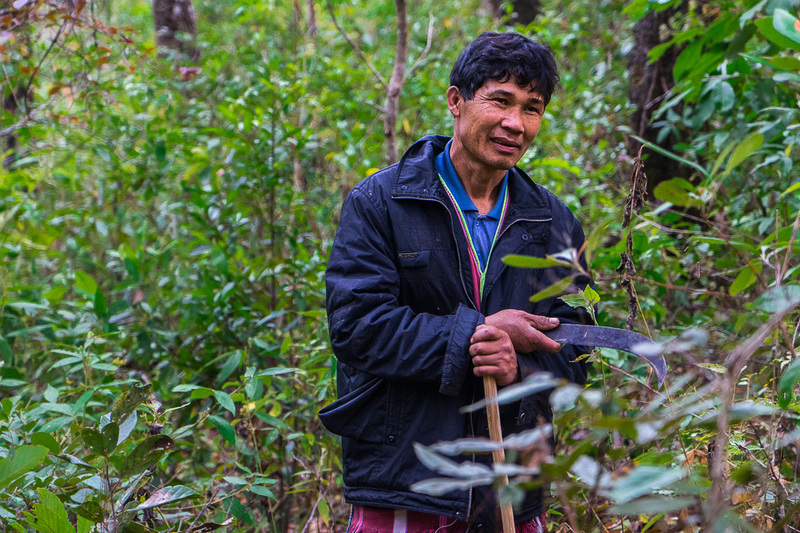 With our bags packed, Johnney led us all to one of the nearby bamboo huts. 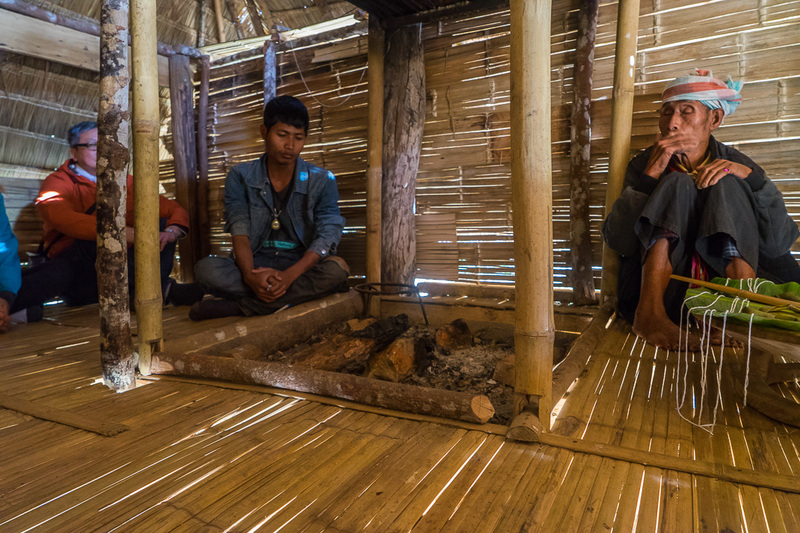 Already siting inside was the Mae Chaem village elder waiting to bless each of us. In front of him was a small wooden table containing strands of twine and banana leaf pouches filled with rice and sweet bean. As explained, when it was our turn, we were to grab one of the pouches with our right hand and extend our arm out so the elder could tie the twine around our wrist. These pouches were then supposed to be fed to the elephants, who would be waiting outside. Pretty simple, right? Don’t ask me why but, when it was my turn up, I stuck my arm out and totally forgot to grab a rice pouch. Like, step 1 completely skipped. Certainly, that must have gotten through to me, right…? As much as it pains me to admit this, I still didn’t get it. Instead, I just sat there, arm extended, giving the elder little choice but to continue with the ceremony anyway. It wasn’t until a few of the others had gone after me, each making sure to grab a pouch, that my screw up hit me full force. Do not pass go. Do not collect $200. Maybe I could still make a clumsy recovery and grab one when the ceremony was done? 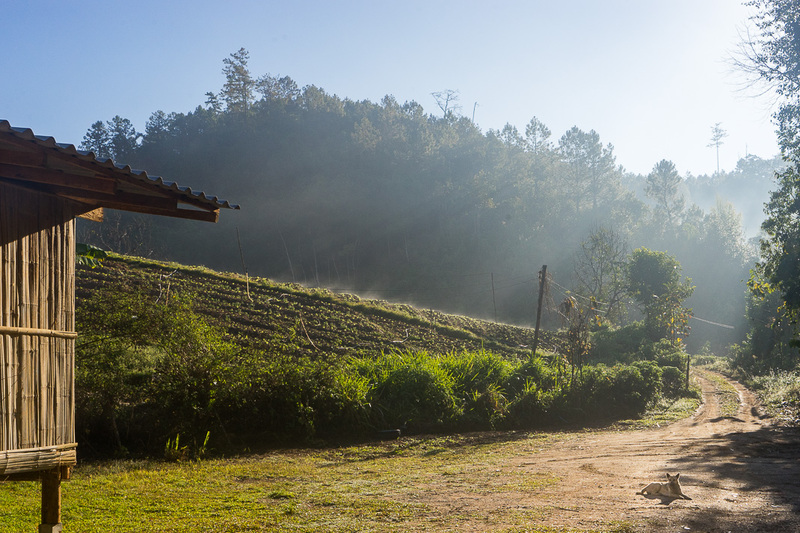 Exiting the bamboo hut, we were immediately greeted by the Journey to Freedom elephants. As the other members of the group excitedly fed them their blessed treats, I could do little else but hang back. The larger female of the group slowly glided towards me, I’m sure expecting to find the last of the rice pouches. Rather than search around with her trunk though, she just stood there watching me. 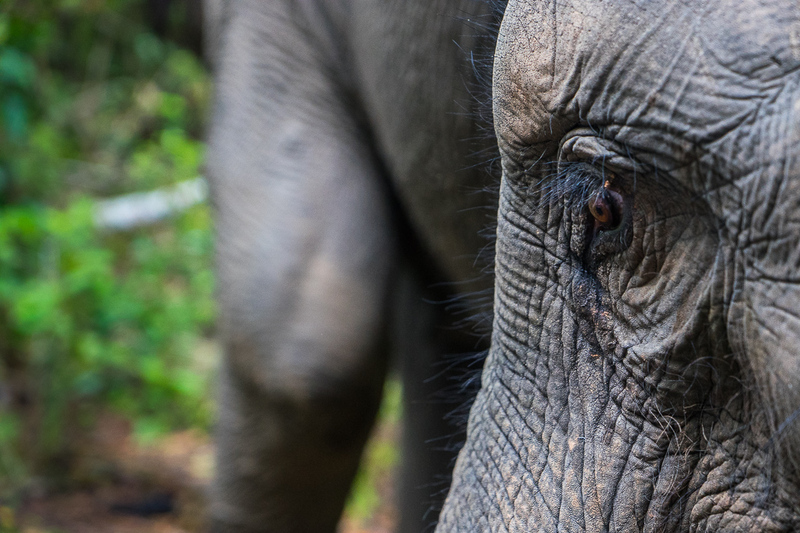 Staring back into the elephant’s eyes, I couldn’t help but feel a calm inquisitive stillness looking back. Remaining in place for only a few more moments, she slowly turned around and began to make her way back to the herd. I wasn’t really sure what to make of the moment, but it left me stunned. One thing seemed pretty clear to me though… She really wanted that final rice ball and knew that I had totally screwed that up for her. While hanging out with Journey to Freedom elephants was definitely the highlight of the program, I still have plenty to share about this incredible opportunity. 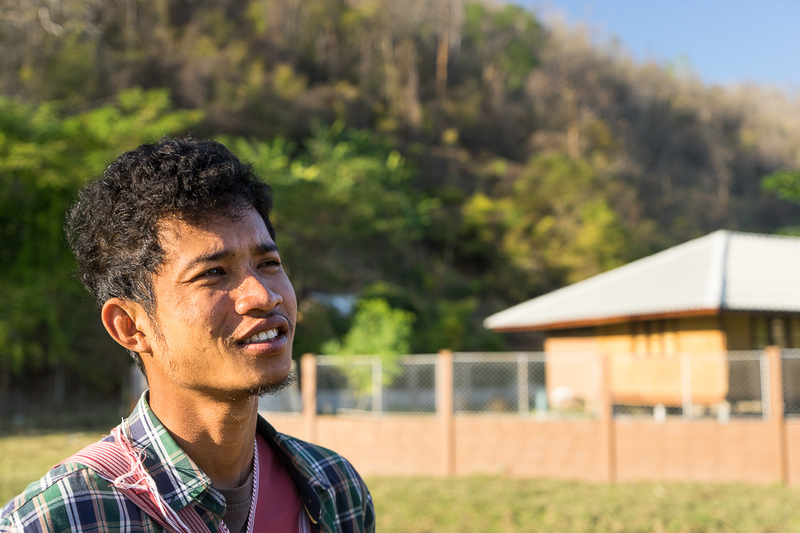 Keep an eye out for my next post on the wonderful people of the Mae Chaem hill tribe! What an epic week it seems to have been! 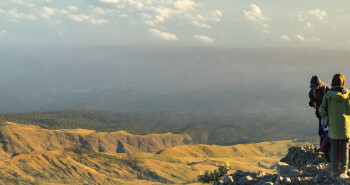 I regret not being able to visit the Chiang Mai area when in that part of the world. 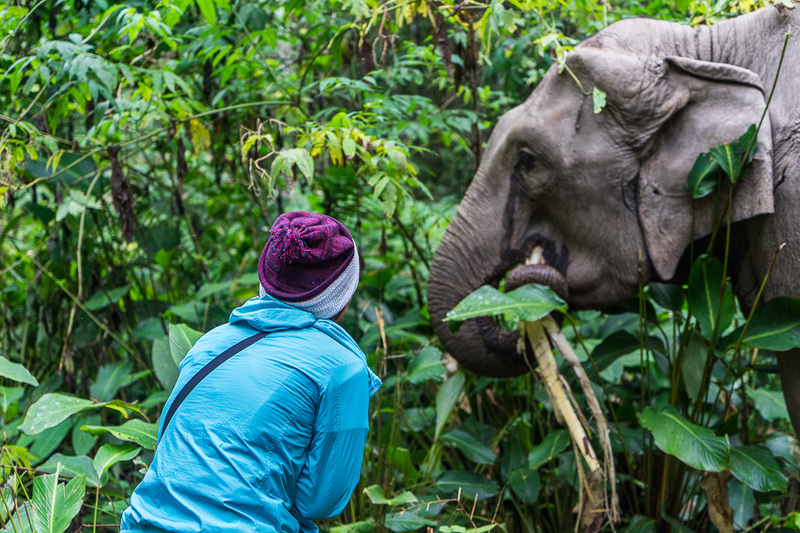 It’s amazing how you get the chance to engage with the elephants which is fascinating for you and beneficial to them. Oh, and excellent start to the entry, impressive intro and picture!! 🙂 keep it up! Thanks so much Emma! It was such an incredible experience and totally worth making it up that way the next time you find yourself in Thailand. I will be doing this trip in August and your post has made me so excited!! Great to hear that this ramped-up excitement for your upcoming J2F experience! Other than the obvious, make sure to bring a nice warm top (the nights were much colder than I expected), some extra socks (especially if it rains), and some wet wipes (for when you don’t feel like taking a FREEZING shower). There are also a few smaller markets nearby if you realize you missed something, which ended up being super convenient for my group. 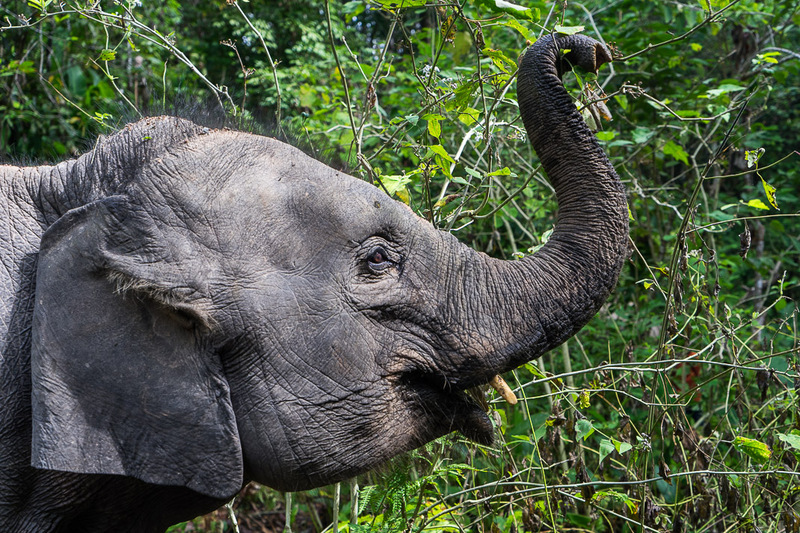 Enjoy your week with the elephants!